Wherever you are, at High Noon (or whenever is convenient) tomorrow—June 21st—we ask you to take a moment to send these thoughts out into the world. 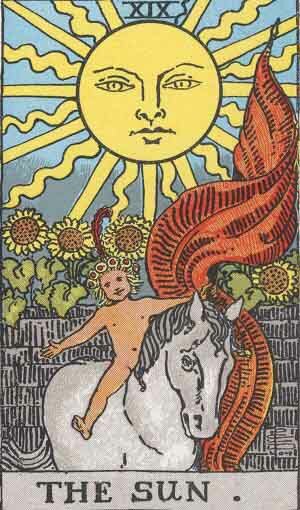 See the Tarot and all who love it and all who love them, bathed in the light of the Sun. If you can’t do it on the 21st, then join us on the 22nd. Here in the Southern part of the globe, we are about to start the coldest and darkest half of the year. Likewise, we send to the world our memory of how Tarot illuminates our path even in the darkest of the nights, and in thoughts we thank all those who keep the flame alive year after year! I want to acknowledge that this idea was originally sparked by Beth Owl’s Daughter, at the instigation of Rachel Pollack, and in a dialog with several other friends including Thalassa, Joanna Powell-Colbert and Linda Marson. Thank you all.